Mulberries have a sweet, grape like flavour and are particularly popular with children as a healthy snack! Certified Organic and Raw Mulberries. Mulberries grow on the Morus – a deciduous bush that thrives in warm, subtropical regions of Africa, Asia and North America. Mulberries contain a variety of valuable nutrients, including fibre, vitamins (C & K), minerals (iron and calcium). Mulberries are a delicious addition to breakfast cereals, trail mix and desserts. 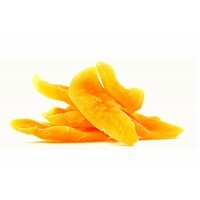 Contains a high source of Vitamin C (36mg per 100g). 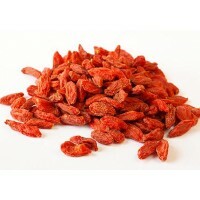 Contain the minerals, iron (7.4mg per 100g) and calcium (156mg per 100g). Contain a source of fibre (6.8 g per 100g). Have been dried and processed at low temperatures in order to retain an optimal number of their naturally occurring nutrients. 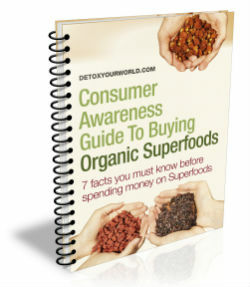 Are suitable for those following a vegetarian, vegan or raw food diet. Mulberries can be enjoyed any time of the day as a healthy sweet snack. They also make a delicious addition to your favourite breakfast cereals, trail mix and desserts. This rich, colourful dessert is crammed with mouth-watering fruits, including blueberries and mulberries, and sweetened using exclusively natural ingredients. A yummy dairy-free mousse that’s also ideal for those following a vegetarian, vegan or rawfood diet. First, soak the chia seeds in water for approximately 1 hour, or until thick and creamy. Next pop all of the ingredients into your blender and process until nice and smooth. Top with leftover blueberries or mulberries and enjoy! Mulberries are a sought-after ingredient in jams, pastries and wine. 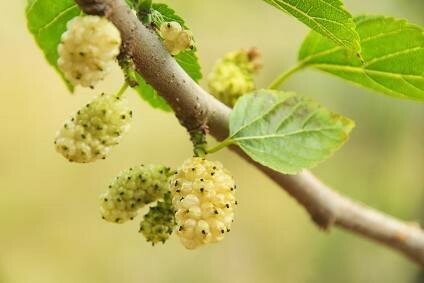 There are many different varieties of mulberry - white mulberries, Chinese mulberries, black mulberries and red mulberries are the most common. The leaves of the white mulberry bush are an important part of the silkworm’s diet. Mulberries grow in bunches of 2-3 cm in length. Mulberries contain natural pigments (anthocyanins), which can result in stubborn clothing stains! 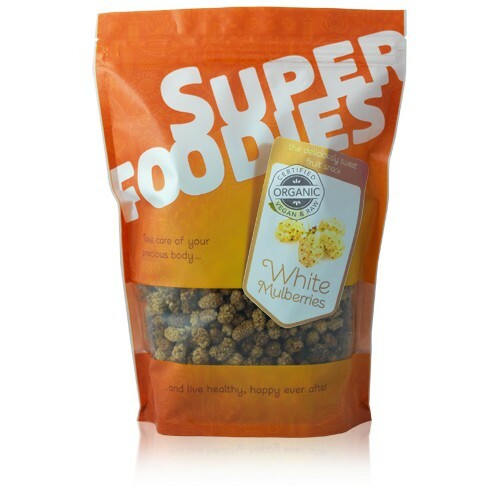 These are the same delicious mulberries from Detox Your World, but just now in a bright new pretty Superfoodies bag! You can trust that they are the same great quality but most importantly the most natural and delicious Mulberries you can buy. Do not buy mulberries if you have an allergy to pollen or any other ingredient in mulberries. Always read the information on the packaging carefully before choosing to eat mulberries. 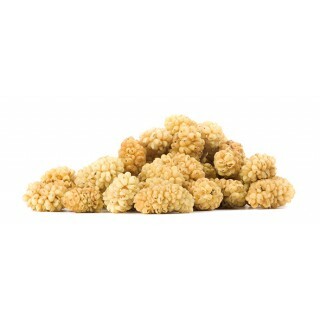 Enjoy mulberries as a snack between meals, or add to breakfast cereals, trail mix and desserts. Consult your GP before choosing to order mulberries, especially if you are taking blood-regulating medication, suffer from diabetes, or are pregnant or breastfeeding. Do not order mulberries if you suffer from kidney problems or have been advised by your GP to follow a low potassium diet. 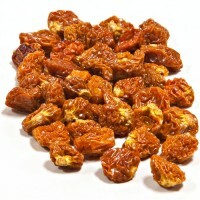 One of my favourite dried fruits. Perfect for snacking; a handful with a cup of liquorice tea, mmm.. And try mixing them with apples in your crumble.